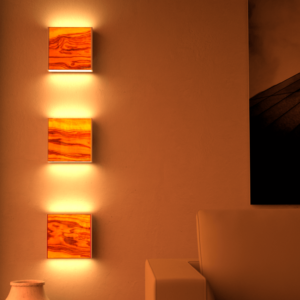 Good lighting creates quality of life. 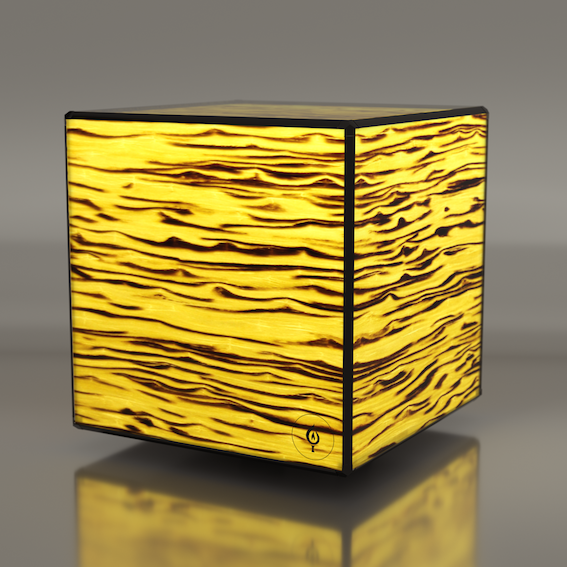 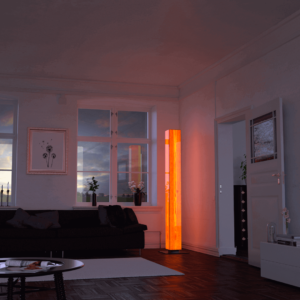 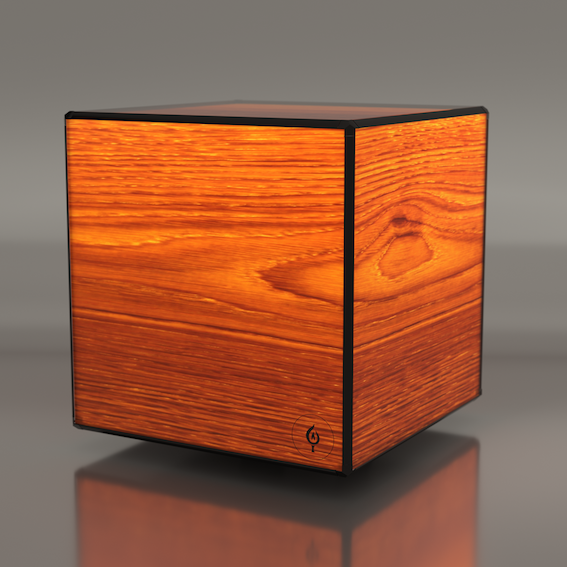 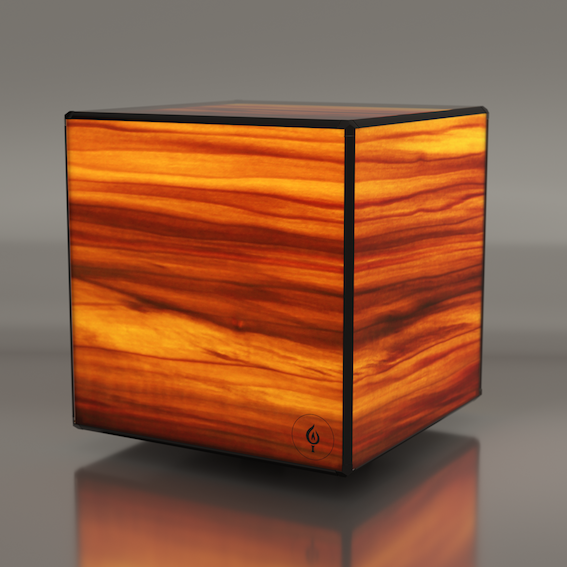 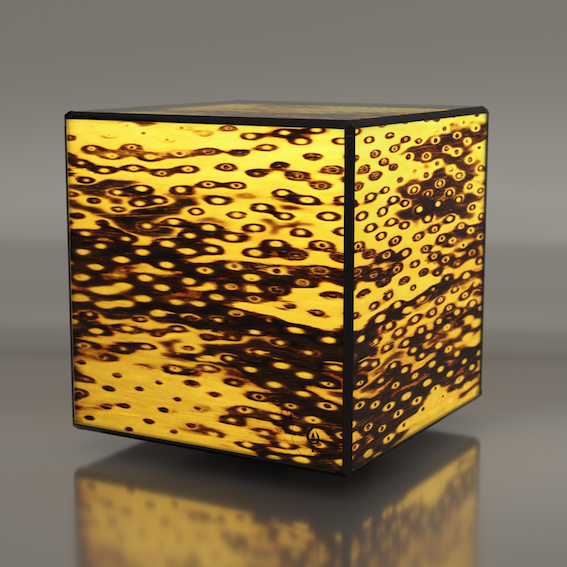 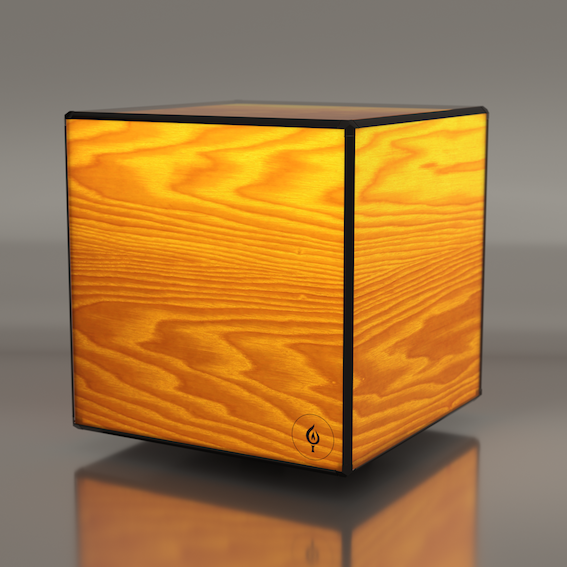 Due to the complete encasement of the LED system with finely cut wood, the cube creates a special light that has been proven to reduce stress – that’s why we call it comfort light. 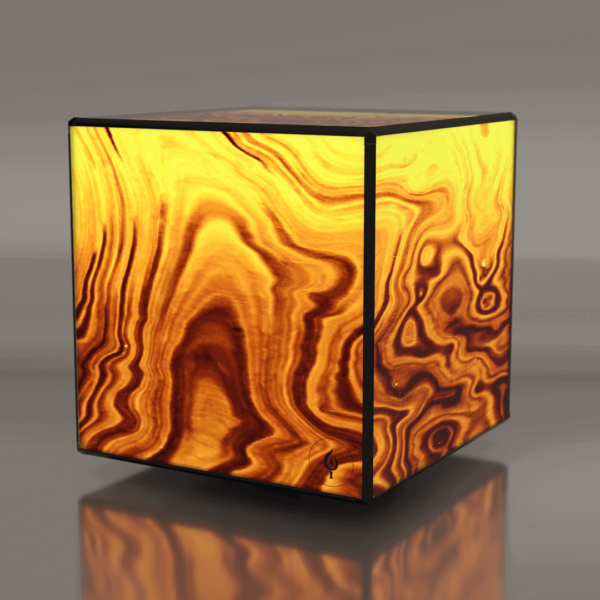 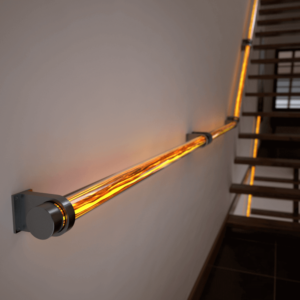 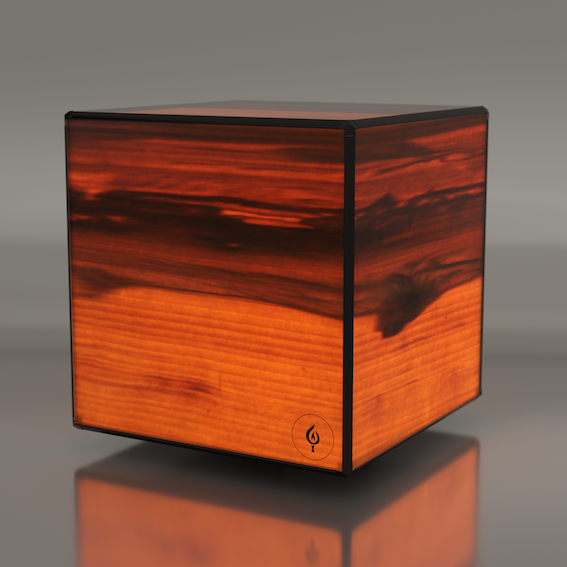 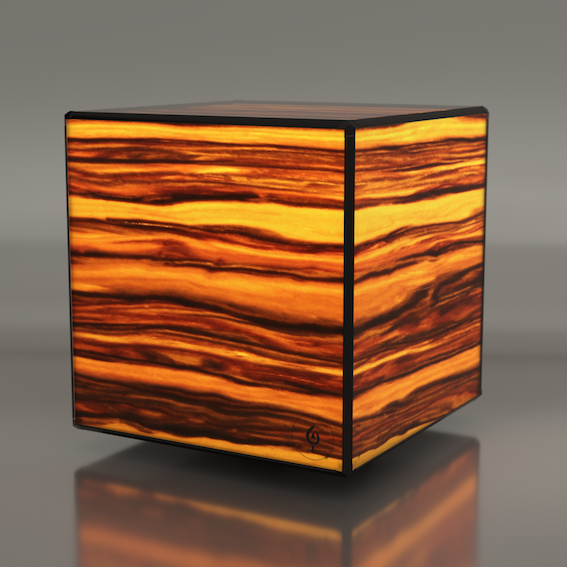 This light brings the wood to life in an extraordinary way. 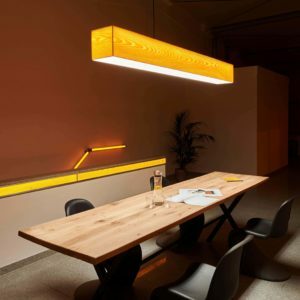 Awarded with the German Design Award Special 2017.